- Riviera Maya -PLAYACAR FASE 1,60 stappen naar het strand, Playa del Carmen. Villas Kiin, hebben 4br 4ba Villa omgeven door grote bomen en tuinen. Er is een zwembad en een cenote met een dek in het midden van hen. De villa ligt op tien minuten lopen van de stad en 45 meter van het strand, lopen naar alles !!! de vier slaapkamers heeft 230 m². We had a chance to enjoy a full week and celebrate my wife's birthday. January is our favorite month to go to Playa del Carmen. The weather is just perfect and we were able to make good use of all the house's amenities. Beside having the beach one block away it had a nice pool and a charcoal bbq. The house has plenty of room. We were 7 and I never felt the need for more space. The house is not new but the location is most important. You can walk to every thing. Thank you Carlos for helping make this a great vacation. The villa is close to the beach and a short walk into town if you want to pick up supplies at the Oxxo, have some tacos or visit the main tourist area. I wouldn't call it luxurious but it's clean and spacious - we were 10 people and there was plenty of space for everyone. Would definitely love to stay there again. Thanks for stay with us, and for write this coments, we hope see you again , remember here is your house. This was a great base in a nice, quiet part of Playa but the whole place needs a "refresh". New and more cutlery was needed and the cushions on the fixed seating around the pool were very old and discoloured. We were brought some new seats for the beach and sun umbrellas which were very welcome but all the soft furnishings could do with renewal and the kitchen equipment looked a bit tired. The maid service was great - very helpful. Beds were great and bathrooms fine. Some of the doors were in need of refurbishment. We had one or two Spanish-speakers with us but if your party does not have any, you might struggle, as no-one we dealt with was fluent in English. This place is fabulous! But ongoing maintenance is much needed. When new, I bet this was the talk of the town. Now, pool cushions are torn and stained, many light fixtures have no light bulbs, the handle to the hot tub on the roof was broken, the grill is rusted, “clothes dryer” is a rack outside. Door stops are unattached and lying on the floor. Many items are broken. The big bang was mini explosions that shook the whole place in the Villa (#12) hot water heater. The room was black with soot so this had been going on for a very long time & it wasn’t vented. They did replace with a new tankless & painted over the soot (kind of) while we were there but then the paint fumes permeated the bedroom closest to that room for the rest of our stay. The handle to the hot tub (a jetted bathtub) was repaired and was fabulous if you can climb the treacherous stairs (not safe for kids or adults drinking adult beverages). The owner did offer us another day but who can do that with a party of 9 that came from different parts of the U.S. Be prepared with translator on your smart phone as those whose numbers you are given to call for information or help do not speak English. Due to a mix up in available dates we were first put into 2-4 bedroom villas (very nice) and then moved to the 4 bedroom villa. That with the water heater explosions and paint, I just never felt settled & relaxed. Sounds like I’m doing nothing but complaining but we actually loved this place! Close to the beach, shopping, pier, etc. and the neighborhood is beautiful and safe. we were hoping to make this an annual retreat for our family as there is an 8 bedroom villa as well. We have a HUGE family living all over the US. What we experienced may be typical for VRBO homes IN Playa, so we will wait to decide whether or not this will be the place for us. I did want authentic as opposed to feeling like I was checking into a hotel in the U.S. so that may be just what we got. If you stay here you MUST get Mariam to cook for you! She cooked the fish we caught with added sides and the food was FABULOUS!!!!!! Carlos the property manager is delightful and speaks English very well. He did the best he could to get things repaired. It would have been more enjoyable if items had been repaired BEFORE we requested. All in all, it’s a pretty neat place to stay and the price may reflect the lack of ongoing maintenance. Villa Kiin was a great choice for my group of 7 people (could have easily accommodated 1 or 2 more). 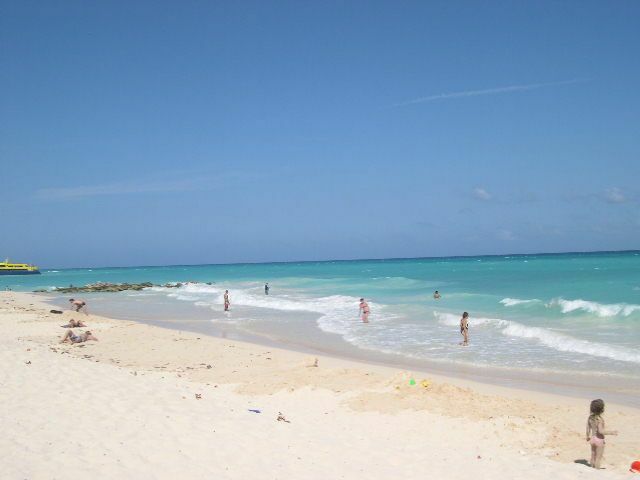 The location is great - about 2 blocks from the white sandy beach, and about 10 minute walk to the main strip in town. Carlos, the property manager was quick to respond to any issues that came up (for example, hot water wasn't working when we arrived, and he came over quickly to fix the problem). It's not super fancy, but it is quite charming and comfortable. We have been to Playa more than 25 times. As we began planning for a large 50th birthday party (25 friends), we had our priorities well defined. We wanted villas in the very safe location of Playacar Phase 1 as every house is close to the beach and such an easy walk to town for restaurants, shopping, and entertainment. We also wanted reasonably priced accommodations since the beauty of Playa is experienced with it's people, beaches and environment. Villas Kiin did not disappoint. The villa had all of the basics needed for the 8 of us staying in the 4 bedroom villa. While we don't do a great deal of cooking while on vacation (Playa offers to many wonderful restaurants), the stove and cooking utensils were more than sufficent, and the other essentials (coffee maker, refrigerator, toaster, etc) all worked fine. The bedrooms had enough separation so that everyone slept well and without disruption. The benefit of each bedroom having it's own bathroom also goes a long way! If I was to give criticism, it would be the lack of a washer & dryer. I like to pack as light as possible when heading out on vacation, so I appreciate having a W&D in a rental. But even with that, we would rent Villas Kiin again. Hi, thanks a lot for take a minute and give information to the new renters . Heiligdom Aviary, Mayan overblijfselen: Tulum, Coba, Chichen Itza, Cenote Deck met Hangmatten in het zwembad, de oceaan minder dan 2 minuten lopen. .Tennis Rechtbank gratis 10 min lopen. Wasserette. Speciale evenementen, feesten, Gathering, diners 4-40. Autoverhuur en de luchthaven pick-up diensten voor extra vergoeding.